The freedom of a comfortable holiday on the beach or by the pool. 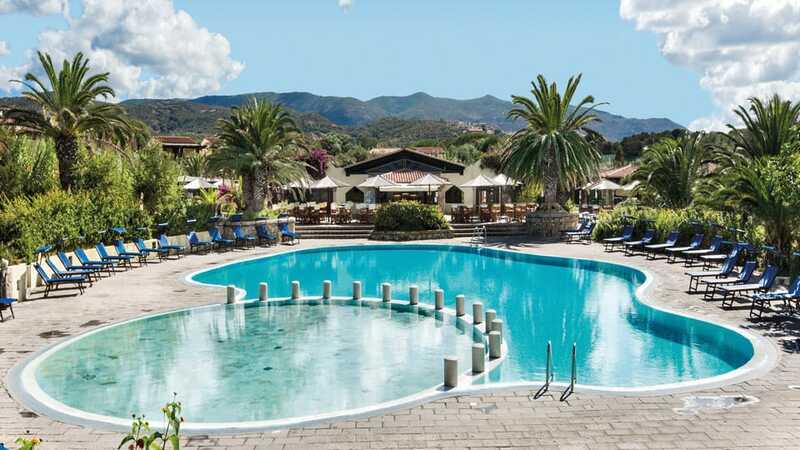 The Resort & SPA Le Dune looks out onto the azure waters of the Badesi Marina in the North of Sardinia. 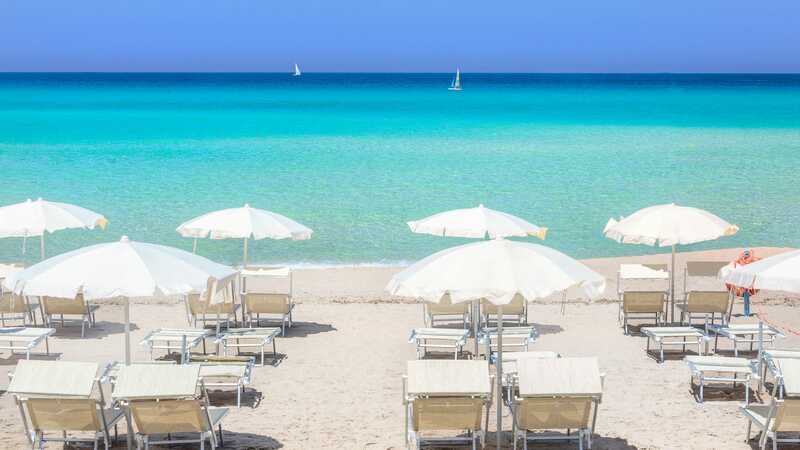 An enchanting landscape of constantly changing colours: from azure waters that become tinged with red at the end of the day to the pure white of a gentle beach that stretches as far as the typical little village of Isola Rossa. 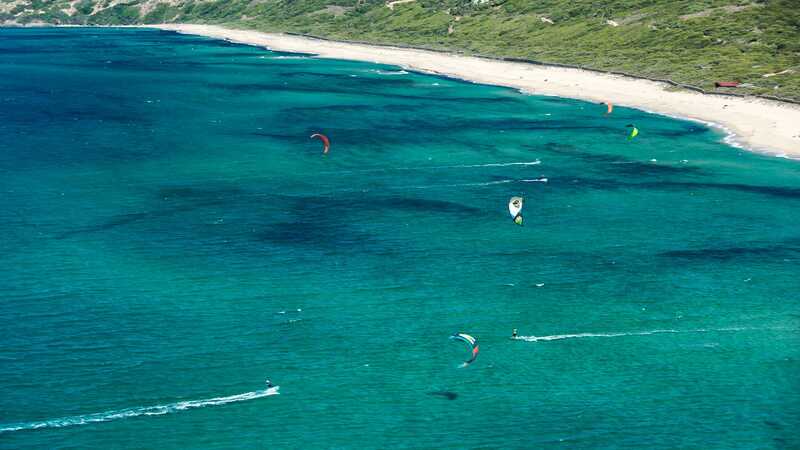 A long stretch of coastline that gives you the chance to go for long walks in complete freedom, breathing in the perfume of the sea and the Mediterranean maquis that with its evergreen bushes and trees is the perfect setting for this part of the Sardinian sea. 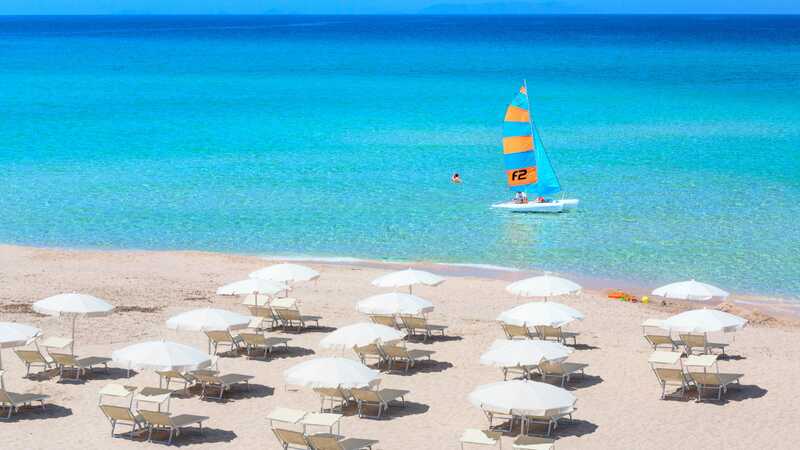 The section of the beach facing the resort is conveniently provided with parasols and sun loungers, free from the third row back (subject to availability). The exclusive area at the Hotel La Duna Bianca has bar, restaurant, play area and a nursery for the youngest guests. 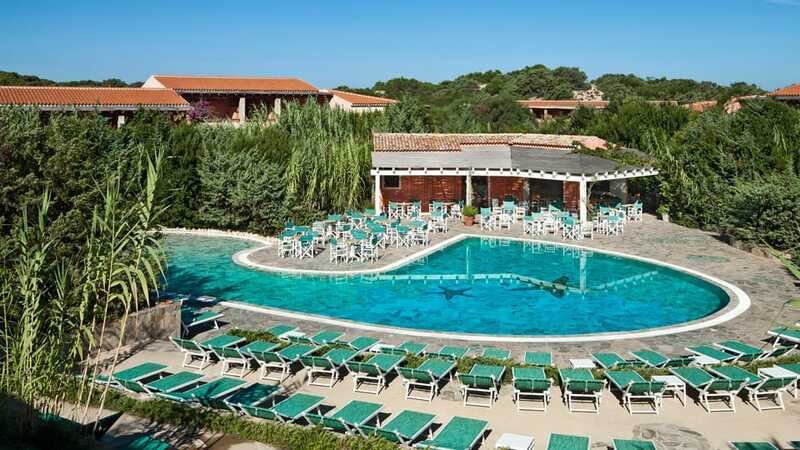 With its gentle rhythmic lapping on the sandy shore, the sea is always seductive, but at the Resort & SPA Le Dune you can choose a freshwater alternative thanks to the presence of six different swimming pools. Two are dedicated to the fun and games of our youngest guests while older people can relax in sun loungers by the poolside of the other pools, complete with lifeguard service and bars. 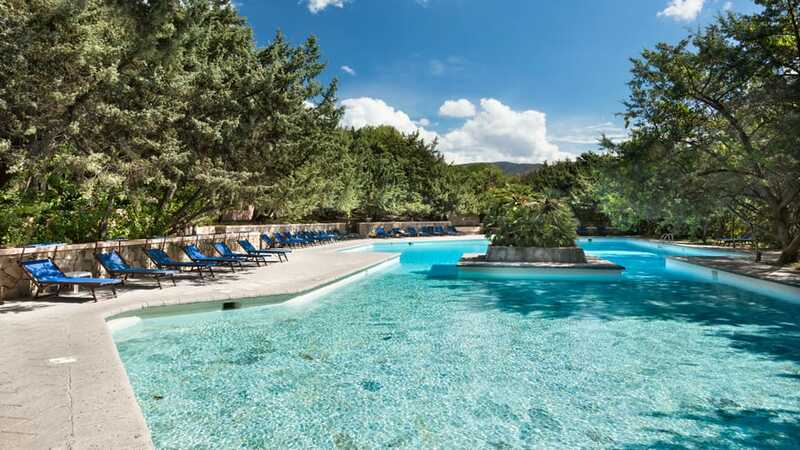 The swimming pool at the Hotel I Ginepri is available for use by all the guests at the Resort & SPA Le Dune. A blue oasis with a central island emerging from the water while all around lush vegetation and Mediterranean maquis guarantees natural shade for your sun loungers. The Hotel Le Palme has two pools open to guests at all five hotels. The larger is designed for adults while the smaller, although connected to the bigger one, is reserved for children of all ages who can have fun under the attentive gaze of parents and our staff. Not far away is a new area with swimming pool and exciting water games for children. 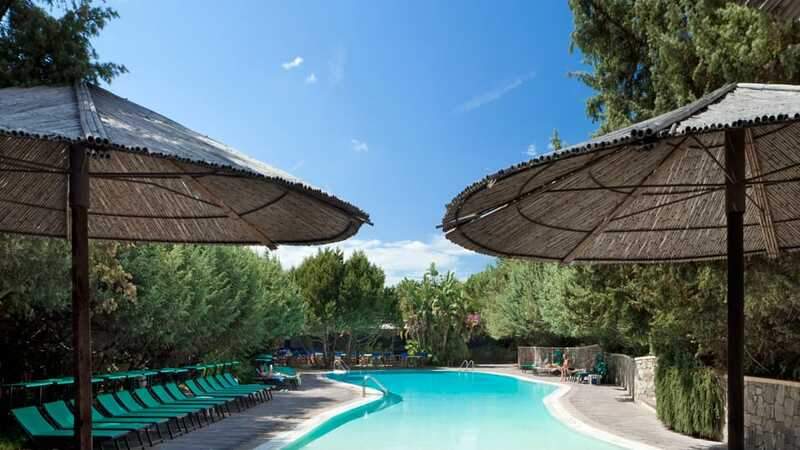 Confidentiality and privacy are guaranteed for guests who choose to immerse themselves in the pool at the Hotel Le Rocce, which is set amidst natural green vegetation together with poolside sun loungers. For guests at the Le Sabine and La Duna Bianca Hotels a comfortable and spacious pool is reserved for them to enjoy peace and relaxation. It is the perfect place for romantic swims in a unique atmosphere before having a delicious dinner. The Villaggio Fantasia guarantees fun and entertainment for the younger guests of the Resort & SPA Le Dune. A genuine games area with a shallow pool so as to guarantee a safe and carefree environment for families.